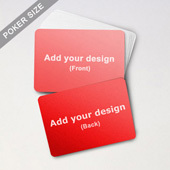 For those who want to place a wordly slogon on the card surface, this is the design for you. 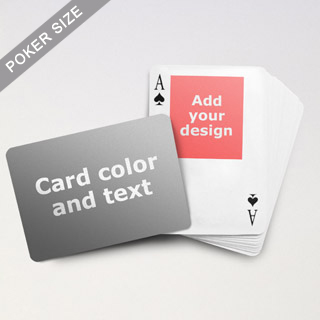 The horizontal landscape surface is ideal for long message. 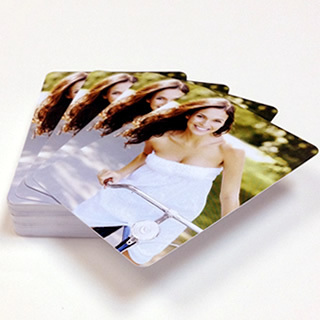 Add your images on the card back. 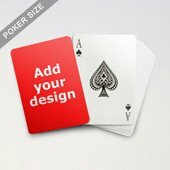 You can insert 1, 4, 13, or 54 designs there. 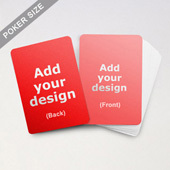 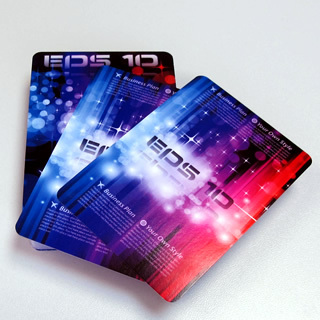 The deck is made of 300 gsm cards stock with smooth finish. 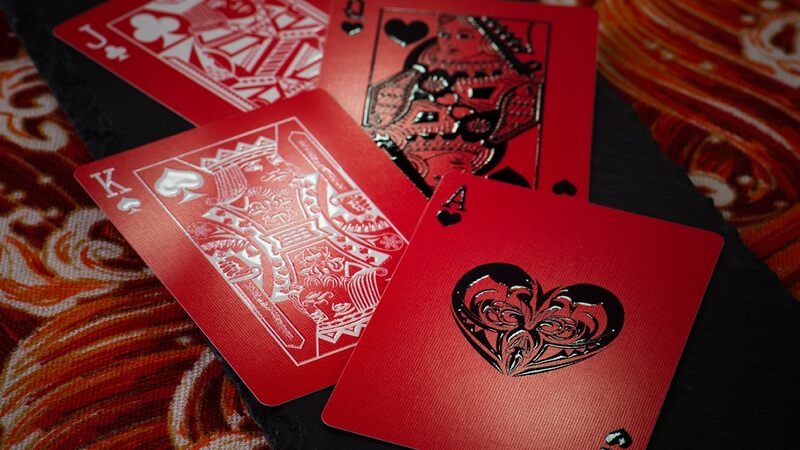 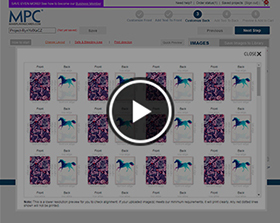 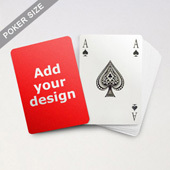 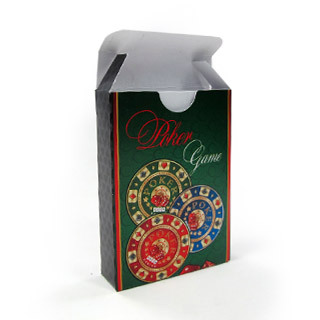 To imitate a casino feel, you can have it upgrade to 310 professional opaque cards at US$0.3 per deck.